Ailments of the mind are, unfortunately, not yet as well understood or recognized as ailments of the body. They are, nonetheless, just as serious in their impact on individuals’ ability to cope with the tasks of daily living. Mental illness is among the most significant causes of long term disability in Canada according to the Centre for Addiction and Mental Health. Your health, both physical and mental, has a substantial impact on your ability to function in life independently and in social settings. As with physical illnesses, the extent to which a mental disorder impacts someone’s life is variable from one person to the next. The same variability can be seen in the effectiveness of treatments. While therapy or medication may work for one person they may not be helpful to another. 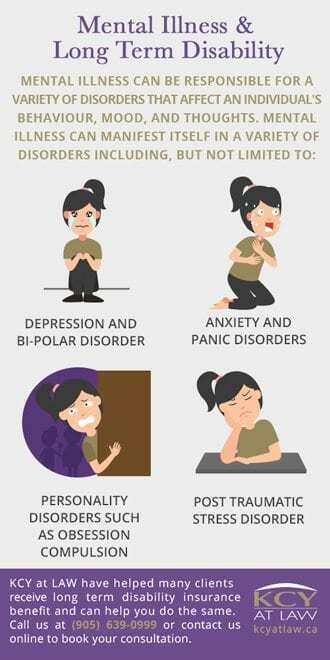 Recovery from mental illness can therefore be unpredictable and ongoing. For this reason, long-term disability (LTD) coverage can be the most helpful support option for individuals suffering from mental health disorders. LTD benefits are intended to cover any health-related issue preventing individuals from being able to work. Workplace policies tend to differ regarding the coverage they offer and many insurance companies will demand that you apply for Canada Pension Plan (CPP) disability benefits to offset their costs. If your mental health is inhibiting your ability to work you should, first and foremost, seek medical help through your doctor or therapist and pursue their recommended treatment plan. In order to successfully pursue a disability claim, you must have a legitimate diagnosis of a mental illness that impedes your ability to function in normal life activities. To further support your claim, it is advisable to keep a daily record of your condition, its manifestations, and how it impacts your personal, family, and work life. This information can help your doctor to provide effective treatment and provide supporting evidence for your Long Term Disability claim (LTD Claim). Your LTD claim is more likely to be successful if you are able to demonstrate your commitment to a physician-monitored treatment plan. Filing for long-term disability can be a complex and trying endeavour. Because mental illness is often ‘invisible’ insurers are frequently sceptical over the validity of claims. 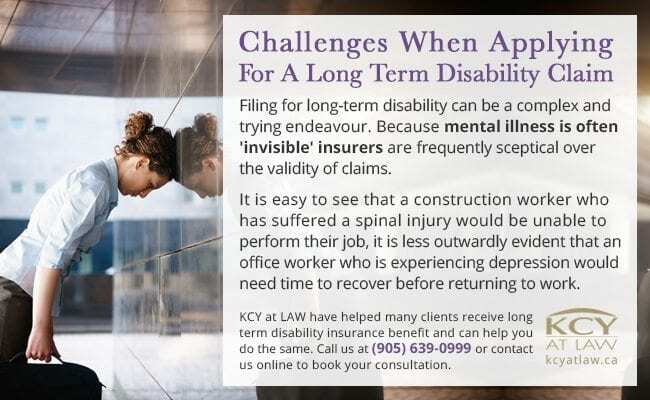 It is easy to see that a construction worker who has suffered a spinal injury would be unable to perform their job in the foreseeable future, it is less outwardly evident that an office worker who is experiencing depression would need time to recover before returning to work. Insurance companies deal with a significant volume of benefits claims involving mental health. In order to save money, insurers have several strategies on which to draw so that they may minimize or deny the legitimacy of your claim. Hiring a private investigator to get footage of you doing things that may be construed as contradictory to your stated disability is a common practice. The new and inexpensive way to surveil you is to watch you on Facebook or on other Social Media (read how social media can impact your personal injury lawsuit here). They may also insist that you are evaluated by their own doctor who may critique your doctor’s diagnosis. To counter the doubt cast by insurance companies, it is imperative that you pursue and document appropriate medical treatment. The main reasons for being denied disability benefits is the failure to do these things. Above all, we recommend that you seek help early, so as not to aggravate your suffering. 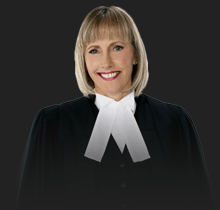 Because of the complications that often arise in LTD cases involving mental health, it can be helpful to have a lawyer manage your application and advocate on your behalf with insurance companies. KCY at LAW have helped many clients receive long term disability insurance benefit and can help you do the same. Call us at (905) 639-0999 or contact us online to book your consultation. Distracted Driving: The New DUI? Video Surveillance in the Workplace – Big Brother Boss?